This is an invitation.. But it’s not an ordinary invitation. When ordinary invitations are sent out, it’s the desire of the host that all who receive his invitation accept it and are able to attend. This one is different. Hi, my name is Tyler Collins… It’s nice to meet you. My “day job” is CEO of BulletproofDigital.com, but I also serve as Chairman of the most elite online reputation coaching group. Veteran digital marketers, wicked smart branding experts, C-Level SEO consultants, media moguls and publishers, traffic & conversion experts, affiliate marketers, funnel experts, and seasoned CEO’s are just a sample of who’s involved in this super secret, training intensive, cutting-edge strategy coaching program. Reputation Black Box is not for everyone, and frankly, not everyone who applies is accepted. But if you do manage to get in, you’ll have access to the most powerful reputation tactics in the industry, dozens of campaign automation tools, in-depth implementation training, and me. You will not find anyone else who has spent over 10 years mastering online reputation management, spent millions of dollars testing and PROVING strategies that work in hundreds of industries for thousands of clients, who’s willing to give you this type of training, hand-holding, resource sharing, strategy exposing, and exclusive attention. Every month, by phone and email, you and I will take an intimate look at your campaigns together. You’ll have my undivided attention to help you formulate customized strategies for successfully removing negative content from search for any campaign, in any industry, and at great speed. The exact training I give my own team to save you years of frustration and headaches. The secret automation tools we use to cut days & weeks of work down to hours. Proven turnkey campaign templates so you can quickly and efficiently roll-out tactics. Reporting tools and templates so you can monitor and report to clients effectively. Exclusive access to me for YOUR CAMPAIGNS for 1hr per month, with email support. Access to MY TEAM for follow up training/consulting/guidance. The newest, effective, strategies and tools we use so don’t have to worry about having to adapt and change. We stay ahead of the game, so you don’t have to. Additional digital marketing consulting and resources – If I have it, you get it. I’m going to hold you accountable. I insist on your success if you’re in my group, so I’m going to make sure you do everything you need to, in the right way, at the right time, with the right help in order to be successful. Also, this group is limited to 50 people. Coaching 50 people on 50 or more different reputation campaigns requires thought, time, diligence, attention, and careful planning, so I have to make sure the group is neatly contained in an elite group of 50. I love this part of my business. Helping people succeed is in my DNA and I hope you become one of the people I help and transform. For more information and to apply for Reputation Black Box, please complete the form below. 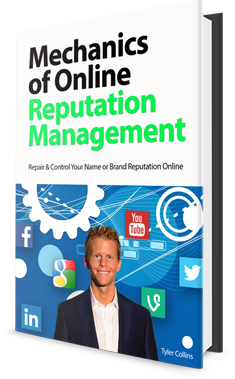 Please put “Reputation Black Box” in the subject line, and tell me about your goals with online reputation management and digital marketing. Once I receive your request for information I will send you more information about the program and setup an initial call to review your goals. I disagree. Knowledge is only as powerful as your means and ability to execute on it. Apply to my coaching program and let me show you how to be unstoppable online.